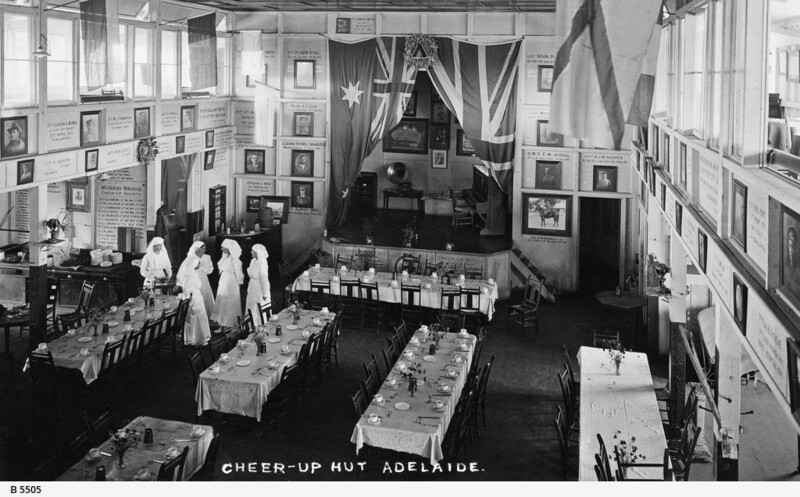 This week’s article focuses on the effort played by people on the home front, and on a uniquely South Australian endeavour, the Cheer-Up Society. The society’s links with the Returned Soldiers’ Association (RSA), the precursor to the RSL, were particularly close. William Sowden was President of both the society and the RSA, and, in addition to letting purpose-built office space to the RSA, the society provided a grant of £50 towards its establishment.1 Along with Sowden, Mrs Alexandrina Seager (pictured), who also acted as Vice-President of the RSA until 1919, was the driving force behind the Cheer-Up Society. 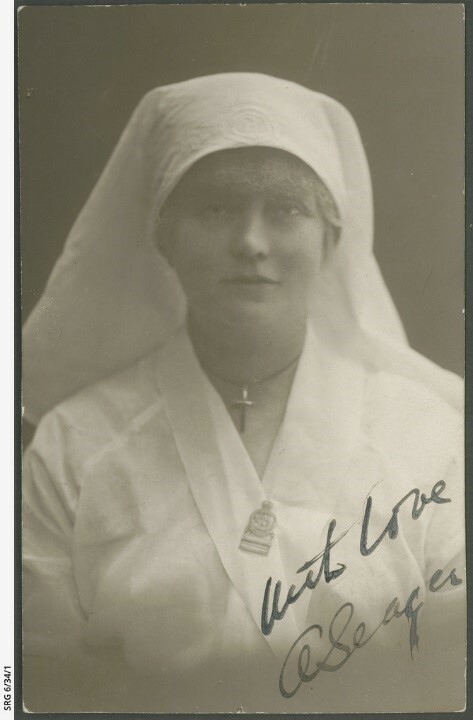 With three sons serving in the AIF, her mission was to provide comfort and support to South Australian soldiers leaving for the front. Cheer-Up Hut, Adelaide. State Library of South Australia B 5505. In particular, it was expected that the displays of trench fighting in trenches excavated and embellished with barbed wire for the purpose, would achieve a key objective, namely that “the men who might be thinking of going would gain a vivid idea of the work to be accomplished.” The Governor, Sir Henry Galway, was clearly of the same mind. 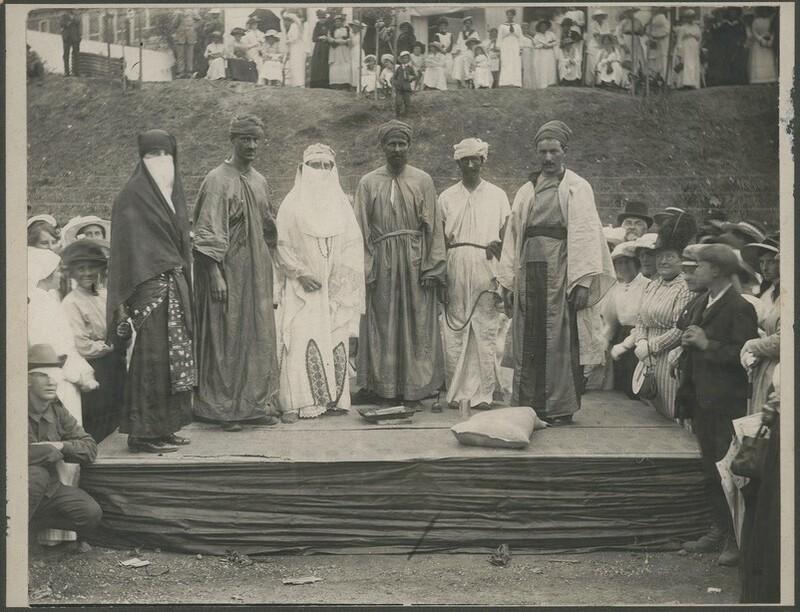 The praise for the returned soldiers, was tempered by a caution to families not to “spoil their returned soldiers – that their inclination to go back to the trenches should not be lessened,” for the experience they had gained was seen as invaluable for the battles ahead. However, the chance to experience a Cheer-Up hut has not been lost. As part of the ANZAC Centenary in South Australia, Veterans SA will be recreating Cheer-Up Huts around the state. The first opportunity to visit one will be at the Spirit of ANZAC Centenary Experience at the Adelaide Showground from 8 – 20 March, 2016. Find out more HERE. John Morison, “Returned Soldiers and the Cheer-Up Society,” The Register, 10 August 1916. “Cheer-Up Society,” The Mount Barker Courier and Onkaparinga and Gumeracha Advertiser, 30 March 1917. “The Battle of Adelaide,” Observer, 5 February 1916. “Cheer-Up Society,” The Mail, 12 December 1914; “General Items – Oaklands Camp,” The Register, 31 December 1914. Veterans SA, “The formation of the Cheer-Up Society,” accessed 23/02/2016, http://anzaccentenary.sa.gov.au/story/formation-of-the-cheer-up-society/.